WOW! Ryanair plans flights to USA for €10! The future of cheap flights from Europe to USA looks a bit more promising after yesterday! Michael O’Leary, famous and controversial CEO of Ryanair yesterday spoke at Irish Hotels Federation conference in Meath and he mentioned his plans to fly from Europe to USA. According to Mr. O’Leary, Ryanair will fly to New York and Boston from Europe for €10. Return flights should be even cheaper: only €7.30! This is absolutely unbelievable price compared to today’s standard fares of €500-€600. CEO of Ryanair admits that passengers would have to pay extra for everything including meals, drinks, baggage and so on. However we are already used to this today when flying with low cost airlines and it doesn’t posses major problem for most customers. The flights would depart from up to 14 major European cities to 12-14 destinations in the US. Another thing is that not every seat will be €10 of course, there must be a high number of business or premium seats to compensate for the super cheap tickets. 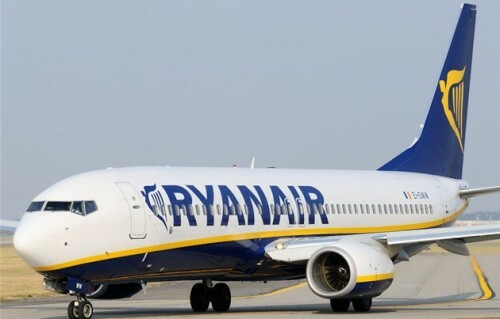 There is only one small problem: O’Leary stated that Ryanair would need 6 months to start operating flights to USA after they aquire proper long-haul airplanes. This might however take up to 5 years according to him, because the company would need at least 20 or 30 planes. Anyway, this is still amazing news for all fans of cheap flying and only time will tell how soon we are going to be able to fly across the continents for such a low price!